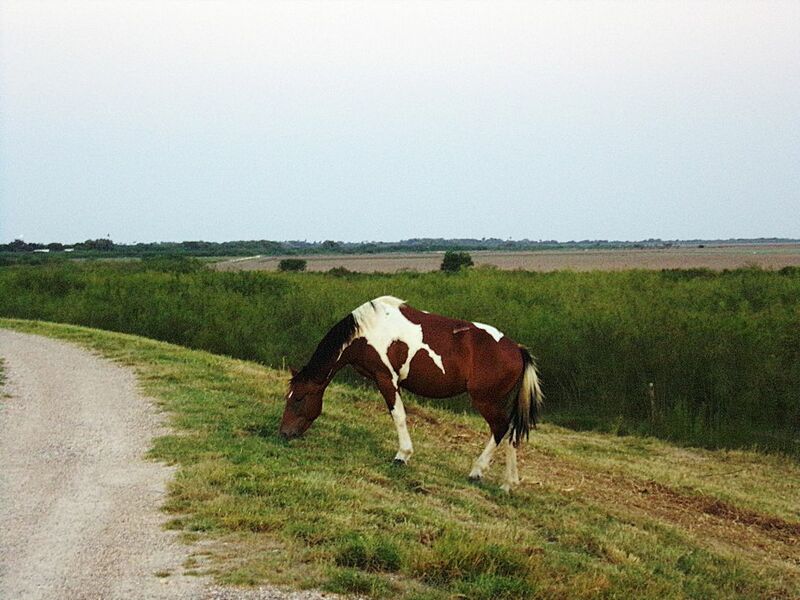 A horse grazes in a field along the road outside of Pharr, Texas. The wide open Texas landscape lies beyond him. Date Uploaded: Sept. 28, 2015, 11:17 p.m.